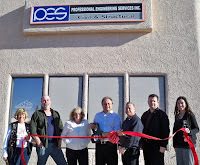 The Lake Havasu Area Chamber of Commerce Ambassadors held a 1st year membership anniversary for Professional Engineering Services, Incorporated at their location of 2167 Birch Square, A & B. 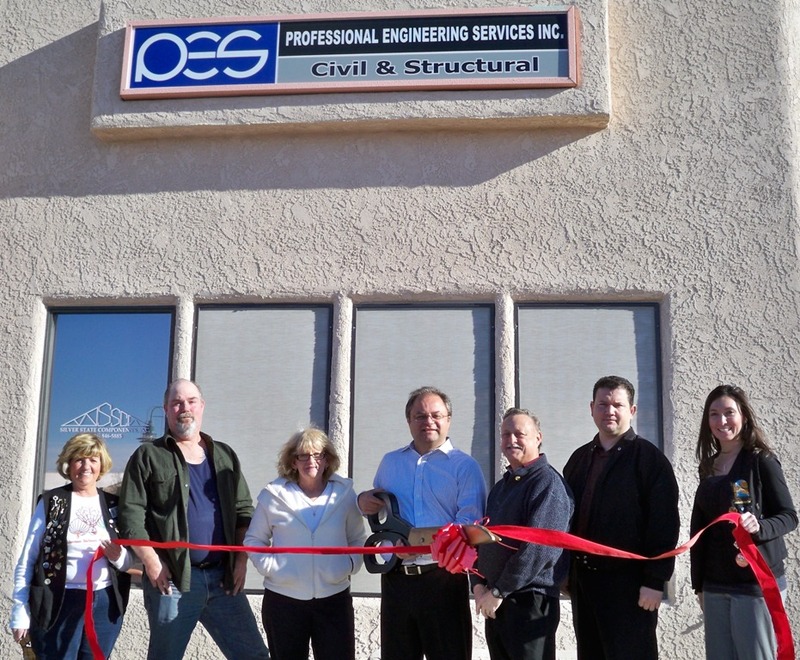 Professional Engineering Services, Incorporated with headquarters in Lake Havasu City, is an engineering firm offering services in civil and structural engineering. Its founder, George Mitwasi has been practicing engineering for 20 years in Arizona, and Neil Ott has been practicing civil engineering for over 42 years. Together they offer a level of expertise matched by few other small engineering firms. On hand for the ribbon cutting from left to right are as follows; Chamber Ambassador Sharon Oakley, Richard Lahman, Jenny Hensel, George Mitwasi, Neil Ott, and Esteban Baltierrez and Chamber Ambassador Crystal Alger. For more information, contact them at (928) 453-9955.